Entrepreneurs know how to hustle- but we still should be able to work less and still grow our business. There just isn’t enough time to do all the things we’re “supposed” to get done as entrepreneurs- but guess what? You don’t have to! 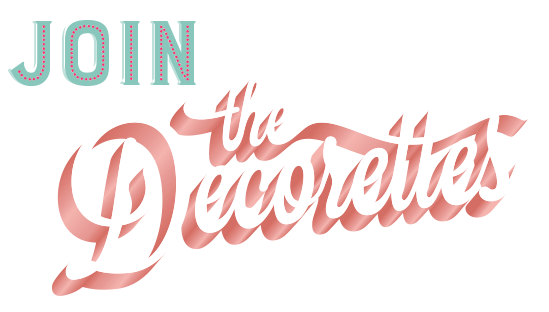 Tune in tho this week’s episode of The Decorettes, where we’re giving four tips so you can be more productive as a solopreneur! The easiest way to grow your business is to make your clients feel special! They'll tell all of their friends and become forever clients! But instead of this being just one more thing to add onto the never-ending list of things to do for your interior design business, systematize your gift giving! Tune in to watch some simple tips for how to treat your clients! Working with the wrong clients is never a good idea! It’s stressful, you’re bending over backwards to help them, they’re rarely happy, and you rarely make any money from the project. This week on The Decorettes we’ve got an easy solution to screening potential clients before you make the mistake of working with the baddies- and it’s all about asking specific questions on the intake form on your website! Want to streamline your business, reduce your stress, and impress potential clients? We though you would! Start with systematizing your client inquiry process. Systems don’t have to be overwhelming, so take it one step at a time and tune in to this week’s episode of The Decorettes, where we’re laying out the simple way you can respond to client inquiries that will free up your time and reduce business-task overwhelm.